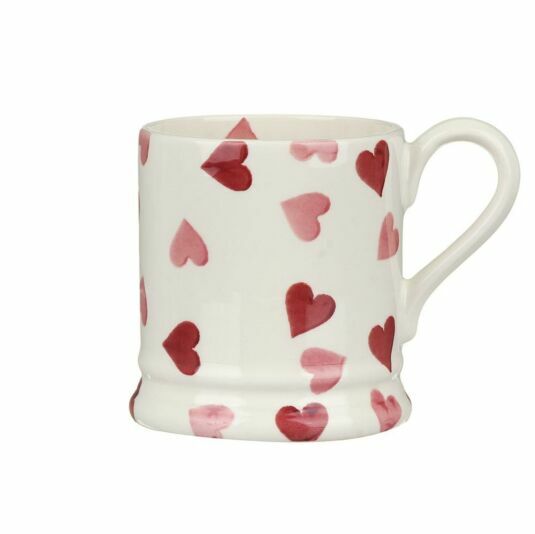 A heart-warming half pint mug patterned with sponge-printed hearts in soft pink shades. The perfect gift for a loved one, or use it to serve your best-loved drink! 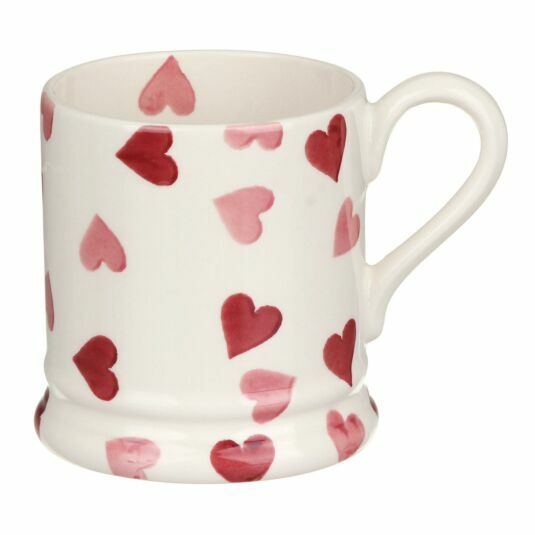 Part of the Pink Hearts Collection by Emma Bridgewater. The simple, unpredictable printing of the spongeware technique is perfectly suited to the Pink Hearts pattern. Varying shades of pink result in a slightly varied density of pigment. The pattern itself is romantic and joyous, spreading love throughout the house! Dishwasher & microwave safe; this item is not oven safe. 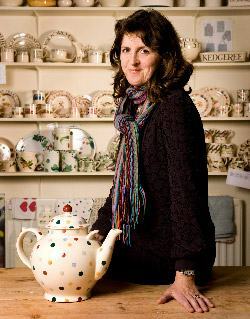 Emma Bridgewater’s English earthenware is made by hand in her factory in Stoke-on-Trent, Staffordshire in England. The spongeware patterns are decorated entirely by hand.